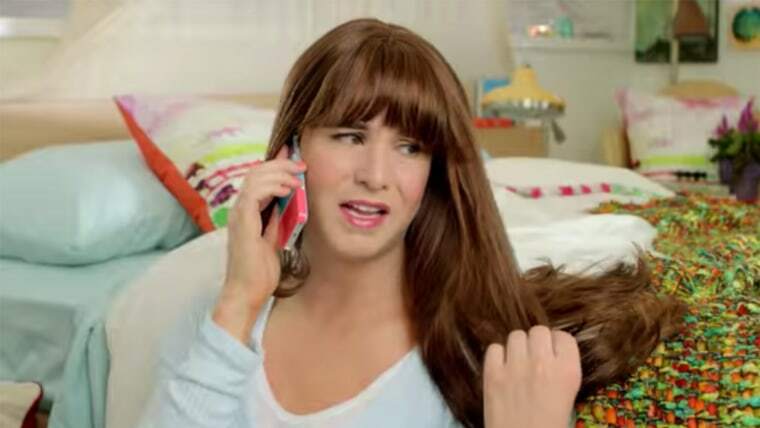 The comedic duo behind the popular "S*** Girls Say" web series has returned to tackle hair drama in a new commercial for hair care brand Aussie. Kyle Humphrey and Graydon Sheppard — the latter of whom dons a wig and makeup to reprise his familiar character — poke fun at a litany of common hair woes, from getting splashed in a pool to leaving the curling iron on after leaving the house. It marks their first return after a series of hilarious YouTube episodes garnered millions of views in 2011, and it doesn't disappoint. "It's cute, right?"